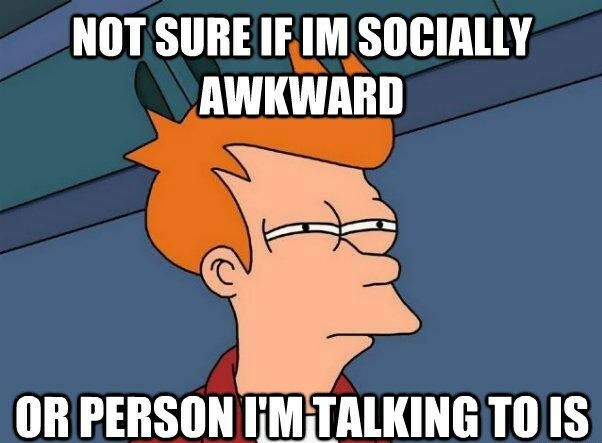 There is this blog I like to read (which unfortunately hasn’t been updated in a while) where the author likes to write about being socially awkward. The name of the blog is Awkward Is An Art. I love the funny stories about the dozens of ways this guy gets in trouble socially as a painfully lovable nerd. I am reminded of this blog today, because I recently had a socially awkward moment. Not only that, but it was among people known for being socially awkward: nerds. Now, I want to say that Carla, Maer, Jason, and John are not even socially awkward. But it is funny that I was in the company of fellow gamer geeks. I was recording the July Writers’ Roundtable Podcast for Corellian Run Radio (so hint, hint; go look it up here). We started discussing the upcoming release of HK-51, and I had a little time to think about the question, as I was not the first in the cycle of writers to talk about it. A thought occurred to me that I could make a funny joke! That was my first mistake. The joke was as follows: Carla would ask me what I thought about HK-51. As I am a big fan of HK-47 in KOTOR, I would reply, “Declaration: I am very excited for this, Master!” It would be perfect! I would be funny! I would be eternally loved by all HK-47 fans in the audience of Corellian Run Radio! What could go wrong? And that’s when I realized that my mic was muted. You see, while recording, I muted my mic to answer a question my wife asked, and I forgot to unmute it. I hastily unmuted my mic and explained myself, and even slipped the joke into conversation again in a second, but I botched the delivery. Oh well. The moral of the story: I shouldn’t try to be funny.